Welcome to Your Green Harmony Home! Are You thinking of building a new house for your family or improving and remodeling an old one? You need to make conscious, informed decisions in each step of the way throughout all design process and in the selection of the materials, constructions and engineering systems for Your house. 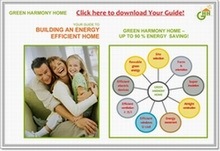 Green Harmony Home Team is here to guide You through choices and to enjoy exploring options along the way! 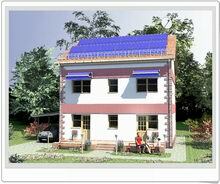 Green Harmony Home (GHH) is a green design/consulting/construction business committed to design green passive solar homes, passive houses, zero-energy-eco-homes, which are cost - effective and energy-efficient. 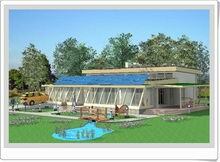 The mission of Green Harmony Home is to design Green Passive Solar Home with focuses on increasing the efficiency of resources use - energy, water, and materials – while reducing building impacts on human health and the environment during the building's lifecycle, through better sitting, design, construction, operation, maintenance, and removal. We understand sustainable development as our path from where we are now to a sustainable future. We welcome the opportunity to serve your housing needs by providing value through a satisfying and rewarding construction project, renewing and remodeling your old house design. Green Harmony Home is committed to do its best in accomplishing a “Win-Win” arrangement for our clients.